While there were a ton of great beauty looks on the Critics' Choice Awards red carpet, one trend stood out over and over again: bangs. A huge amount of stars unveiled the style just in time for the occasion. 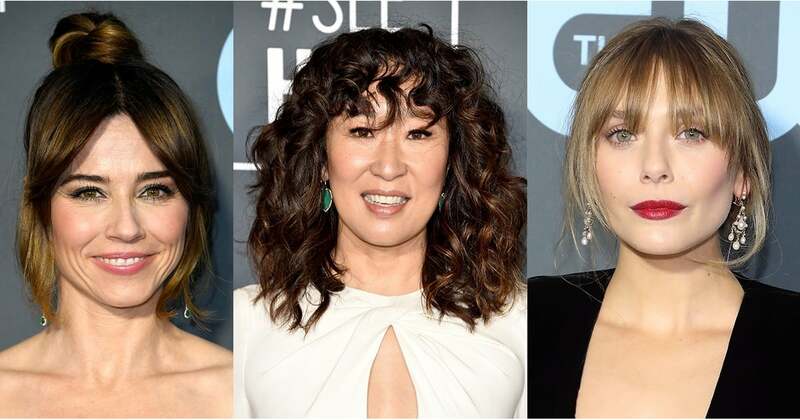 Constance Wu decided to wear baby bangs, Sandra Oh wore hers curly, and Jameela Jamil tried a swept-back version. If this trend continues throughout award season, 2019 might just become the year of bangs. Check out the variety of fringe on your favorite stars ahead, and bookmark your favorite to take with you to the salon.